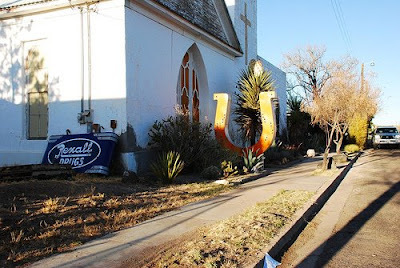 I think the reason it’s been so hard to write about the trip is that Marfa surprised me… it caught me off guard. Sure I expected to have fun, to relax, see some great art and spend quality time with friends, but I didn’t expect to be bowled over (enchanted even) by the town. Mainly because I am not a desert girl. I like misty, loamy, green… I love Big Sur, the Pacific Northwest, spots where the forest meets the sea. I don’t do dry, yellow, barren – all desert hallmarks. 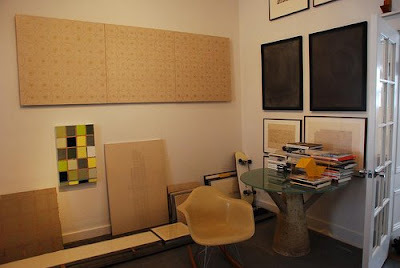 This was an unwavering preference, a part of my make-up for as long as I can remember, but nonetheless, I all of the sudden found myself scheming ways to drastically simplify our lives, pack it all up and move to Marfa. Desert be damned. Perhaps it was the timing of our trip... Maybe my feelings about the town are a reflection of where I am right now in relation to consumption in general. Marfa's a sort of "stripped-down" town -- it’s not a place to go if you want to be endlessly entertained, to shop or dine excessively. But discovering the treasures behind crumbling buildings, stumbling upon the surprises... that to me is perfection. We ate one of the best meals of our life (with our dear friends Buck and Camp at Cochineal), we saw incredible, thought-provoking art (at Chinati and the Ballroom), we met incredible new people (her and her) and came back home refreshed, inspired and filled up with all sorts of good stuff. I want to go there so bad! Thanks for sharing! I like the bike shot. That room looks great. How wonderful! What a lovely thing....to be surprised by something and fall in love. I know EXACTLY what you mean about Marfa. 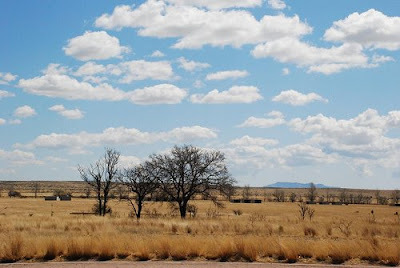 I am a by-the-water kind of girl, but when I visited Marfa, it instantly became one of my favorite places. I plan to spend many relaxing weekends there when I move back to Texas (& would love to live there, or have a tiny vacation home there -- I love it so much, I'd actually be surprised if I don't do that someday). so glad you re-capped. we had such a perfect time too! I'm glad you finally got there. I've wanted to visit for years-- I went to Trinity Univ in San Antonio and had art teachers who went there frequently. 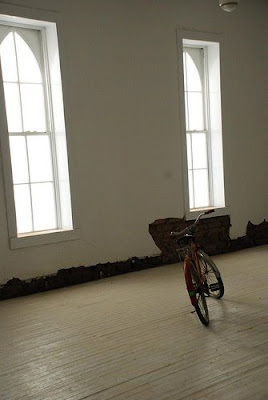 Maybe one day-- I like being in these kind of stripped-down places. I just got a dose of peacefulness after this post! It looks like a great place to really enjoy the simple pleasures in life! peaceful came to my mind as well. Joslyn-- thought you might like seeing these beautifully stark photos of Marfa by Stanley Marcus's granddaughter, who is a great photographer. Jim -- i love these...love Allison's work. 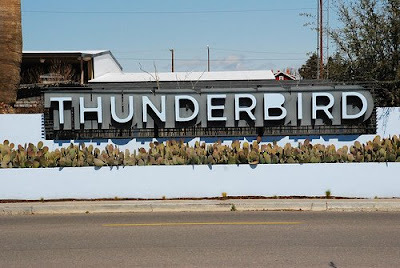 in fact there were a few on display at the Thunderbird that we saw on our visit. Do you have reflections of a man? it's an amazing collection of stanley marcus' photography curated by allison and her mother. stunning! Oh Marfa... I have been lucky enough to go 3 times already and every single time I get more and more enamored with the place. So enchanting and surreal. This is my first time on your blog and I love it! another favorite town is Ft. Davis.